﻿ Foto die ersten Schritte auf dem Mond | Abb. 7230. 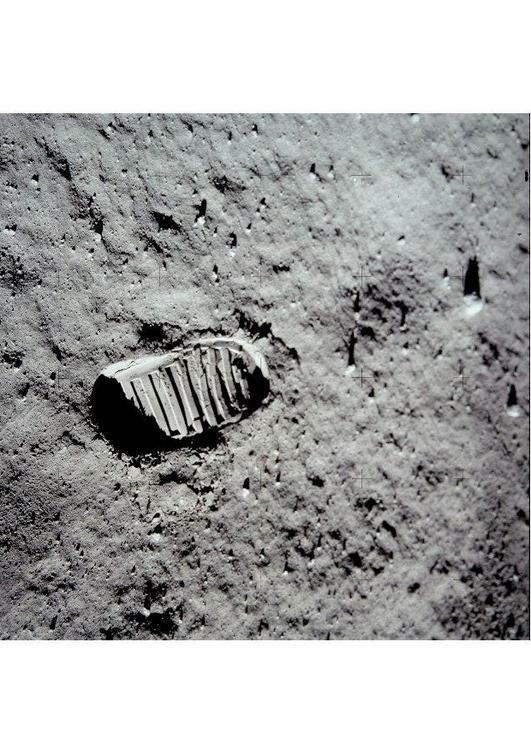 One of the first steps taken on the Moon, this is an image of Buzz Aldrin's bootprint from the Apollo 11 mission. 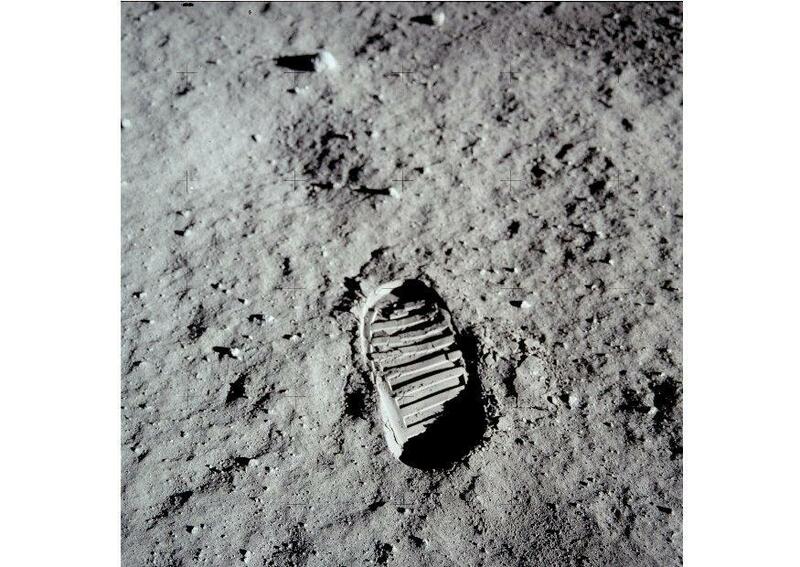 Neil Armstrong and Buzz Aldrin walked on the Moon on July 20, 1969.